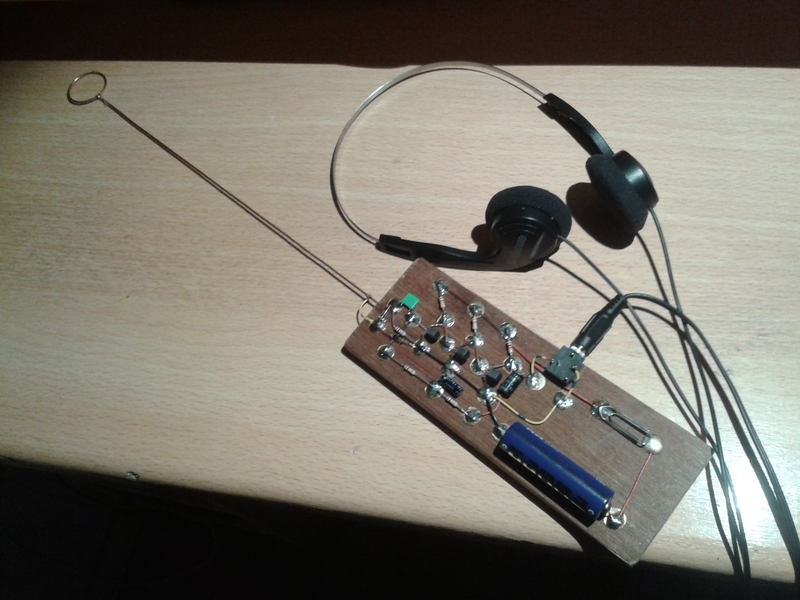 I found a really simple project for kids to attract them to homebrewing and hamradio. It is also very nice for people who want to learn soldering electronics. It’s a “signal tracer”, which means it detects all kinds of RF signals radiated by devices around you. It demodulates the signal, allowing the user to actually “hear” signals produced by a TV, computer, LED light, electrical wiring in the walls, etc. I showed it to different people, they all went walking around the room for a while and curiously listened to all the different signals. I built two versions. The first version sticks to the original design. This design begins with a piece of wood and a handful of drawing pins. 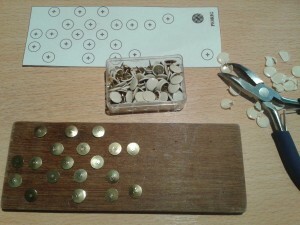 The pins have to be put into the wood according to a given pattern. 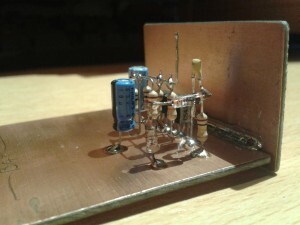 Then some electronic components and wires are soldered onto these pins. 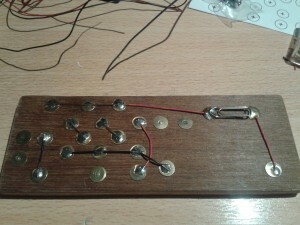 The design also includes a switch you have to make your own, using drawing pins and a paper-clip. The antenna is made of some solid wire, shape and size are not critical. Soldering the wires and paper-clip switch. 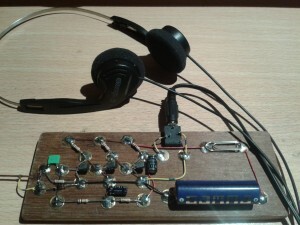 The remaining components are in place now, including a 1.5V battery and a phone connector. Since Adrian PA0RDA is interested in LED lights, I decided to build a second, more solid version. This allows him to compare the RFI output of different LED lights. 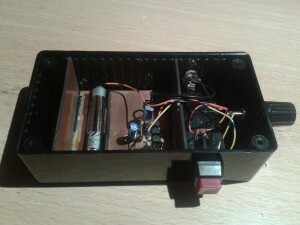 This second signal tracer consists of a small handsome box where all electronics are placed into. 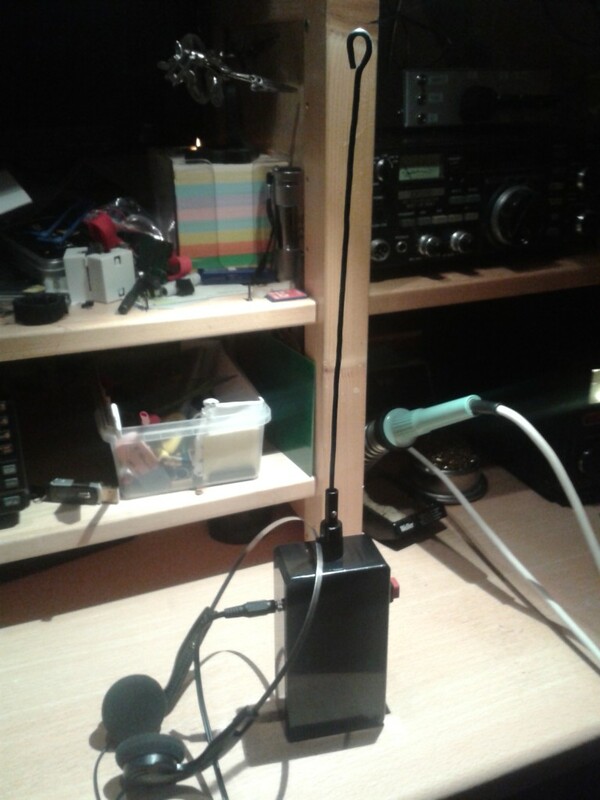 The antenna can be separated from the box for storage and transport purposes. This also allows experimenting with different antenna shapes and sizes. 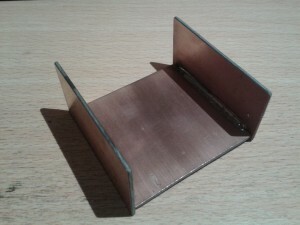 Interior made of copper clad, ready to fit in the box. 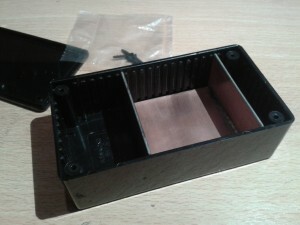 The box with the interior inserted. Another view of the circuit. 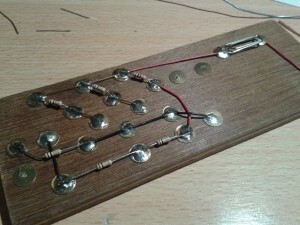 Adding connectors and a button. 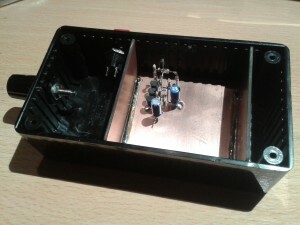 Inside view of the finished box. 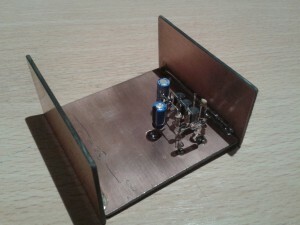 The completed second version of the signal tracer. Léon-Marc, this is not a real measurement tool, it just gives you an indication of RFI radiated by devices. It does some demodulation which is not necessary for measuring the field strength. Also, it can’t detected unmodulated carriers. There are lots of simple designs available to build your own field strength indicator, but I don’t know if there’s an easy way to callibrate such a thing to allow absolute measurements.